GuestDriven, known provider of mobile hospitality solutions, establishes partnership with iBeacon sensors maker Estimote in order to supply iBeacons technology to the hotel businesses across North America. It is expected a large increase of beacon installs within four years. GuestDrive is going to follow this tendency to become – with the help of Estimote – the first iBeacons technology provider to hoteliers. Push notifications will be available for both iOS and Android. 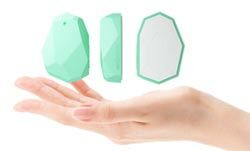 Estimote beacons are small-sized sensors that are usually placed on the walls. After room modelling they broadcast signals while determining distance to the device and sending push notifications. Guests can receive onto their mobile devices various welcoming, promotional or informative messages when they walk through the hotel building. The reason for hotel businesses to apply Estimote iBeacons lies in the shift of hotel guests’ habits. It is estimated that about a half of all hotel customers are under 36 and 94 % of them have a smartphone. As long as they are attached to their devices those guests may consider mobile as the most convenient way for communication with hotel as well as may be willing to pay little more for this convenience. This new generation is predicted to pay far more attention to mobile hotel services. This is the reason why hotels should take more care of how they serve, sell and support via mobile devices. In order to create a long-term customer relationship with this customers group, GuestDriven provides a Mobile Guest Engagement Platform. This platform allows engaging customers, developing brand’s mobile presence and eventually increasing revenue. The platform looks even more promising after launch of GuestDriven Express, an application for mobile check-in and upgrade that both engages guests and equips hotels with new capabilities while adding new revenues. However if you plan to improve your client relationship with the help of data analysis you will have to have extra applications. Here I can recommend a reliable developer – IT Craft who have large development experience due to successful launch of various mobile apps. Previous Fiverr just created a miracle for a blind man.